Often reputed in the international market for its premium quality, toughness and durability. It is often the preferred choice for interior and exterior in both commercial and domestic for flooring, wall cladding, paving, facades of buildings, railway stations, pavement, landscaping, garden stone. The advice below will help you maintain Marble to a good standard however please note Marble is a sedimentary stone as such it’s generally very porous and acid sensitive and can be damaged through the use of even mildly acidic soaps, shampoos and body washes, therefore Tile Doctor do not recommended it for use in wet rooms, shower cubicles or near swimming pools. The best way to clean and polish Marble wall tiles is with a hand-held polishing machine using a set of six inch Burnishing pads, we find using chemicals less effective on vertical surfaces and can lead to staining. The process is thus, spray the No.1 Red Burnishing pad with water then apply to the wall tile until the dirt and old sealer had been removed. Then switch to a No.2 Blue Burnishing pad and repeat the process followed by a No. 3 Yellow Burnishing pad straight after. This method is also the best way to treat the build-up of Limescale as the acidic cleaners commonly available for this will actually damage the Marble. 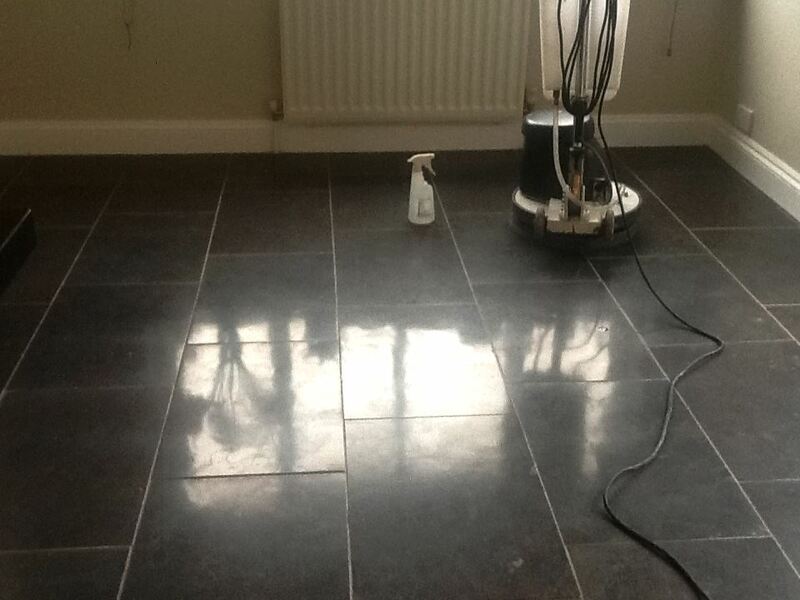 If the grout is in need of attention then clean the grout at this point using Tile Doctor Mould Away which is a very effective grout cleaning product as well as treating mould. Make sure to thoroughly rinse the tiles after using Mould Away to remove any trace of chemicals otherwise it may impact the sealer when it is applied. Leave to dry overnight and then finish with a No. 4 Green Burnishing pad until a nice light sheen has been achieved, this will tighten up the pores of the Marble thus making it easier to seal and maintain. See below for sealing instructions. When the tiles are fully dry apply either one coat of Tile Doctor Colour Grow to enhance the natural colours of darker Marble’s. If however you area sealing a white or off-white Marble and you not wish to darken the stone apply a single coat of Tile Doctor Ultra-Seal which provides a natural look finish. Please note a second coat of sealer may be required if the stone is very porous.For architecturally specified sealers we recommend Tile Doctor Pro-Seal which is a water based impregnating sealer suitable for all types of honed stone including Marble.